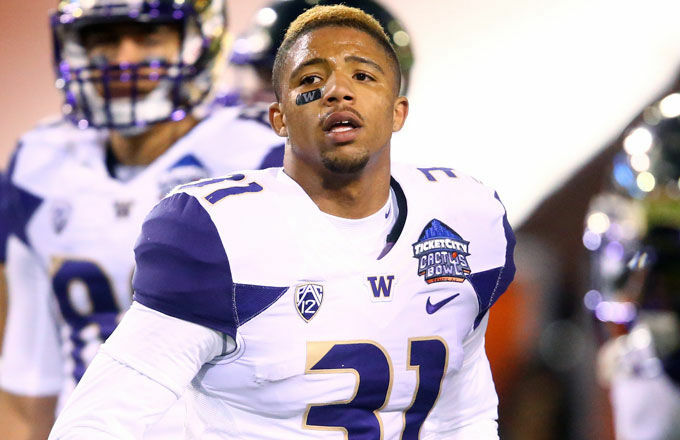 Naijiel Hale, the son of the late Nate Dogg, has been dismissed from the Washington Huskies football team. Hale reportedly was cut for "disciplinary reasons," according to Adam Jude of the Seattle Times. Hale, a sophomore cornerback, says he plans to take his talents to another university. "Id like 2 announce that Ill b takin my football career to another University. I appreciate the U of Washington and everything they taught me," Hale wrote in a tweet now deleted, but recovered via Complex. Hale also posted to Instagram, but deleted the post. Complex discovered the caption, though. "I would like to announce that I will be taking my football career elsewhere and thank the university of Washington for everything they've taught me. I Thank you coach Lake and Coach Peterson for being there for me and understanding everything that I go through. Nobody in this world will understand my life yet I'm still moving forward. I'm so thankful to play and start many games as a True Freshmen in the PAC-12 and those memories will stick with me forever. New chapter ahead.... Ride with me"
Hale initially committed to the Arizona Wildcats when he was a four-star high school recruit.